In previous years, manufacturers would simply release a new standard stock set of irons, a design that would be available for golfers of all abilities but would unfortunately not work for all golfers in the same way. As science and modern innovation has improved our knowledge of the golf swing, we now understand that players of different abilities and handicaps require slightly different specifications and fittings for the majority of their clubs. 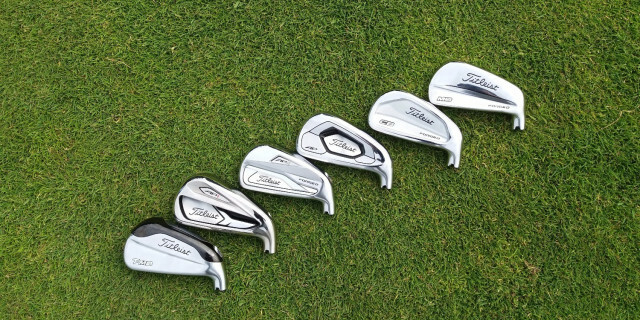 Sets of irons have possibly been the biggest recipient of this changing construct, with golf manufacturers working hard to design different versions of irons that will benefit every kind of golfer. 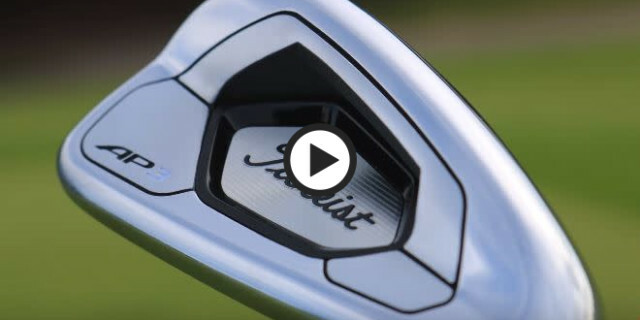 Here is Golfshake’s gear guide to the latest irons of 2019, specifically targeting golfers with mid-range handicaps who want a set of irons that can provide maximum performance with consistent forgiveness. 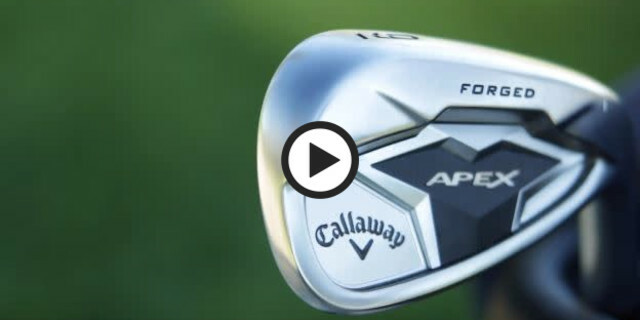 Part of the new and exciting Callaway Apex range, the Apex 19 irons provide golfers with immaculate precision and power, while simultaneously enhancing control and forgiveness for golfers who demand more consistency. One of the standout features of the Apex 19 irons are the incredibly soft feel and improved distance they provide golfers with. The carbon steel body promotes amazing Apex sound and feel, and the urethane microspheres consist of over one million tiny air pockets that absorb unwanted vibration without slowing the face. The Apex 19 irons also include the unique feature of the innovative Face Cup technology. The renowned 360 Face Cup employs a shallow, flexible rim around the perimeter of the face that flexes and releases at impact to promote fast ball speed for consistent distance every time the ball strikes the club face. Expertly crafted with the advice and expertise of tour professionals, the beautiful shape and sleek design of the Apex irons offer avid golfers the opportunity to play with irons that provide both a professional performance and a professional appearance. Find out more on Golfshake by clicking here, or visit the Callaway website by clicking here. Renowned for efficient and effective golf club designs, the new Ping i500 irons are the embodiment of innovative engineering and stylish design. While the clean, blade-like style appears to indicate a club better suited for professional players, the amazing features are aimed to provide average golfers with an iron of the highest quality and performance. 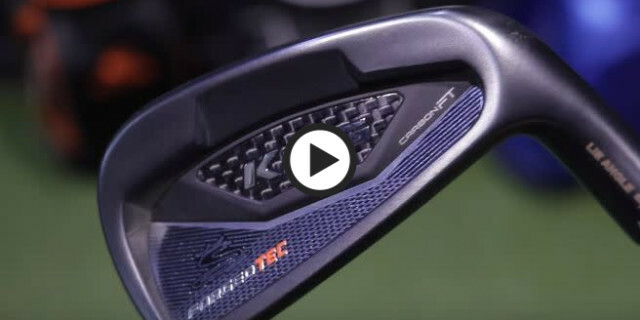 One unique feature of this innovative iron set is the C300 steel face technology. The stainless steel body provides a metal-wood-like performance, dramatically enhancing ball speeds for golf shots with higher-trajectories and increased stopping power on the greens. This performance is emphasized in the outstanding muscle back finish to these irons, which not only gives the club a powerful clean-cut appearance, but constantly flexes at impact, adding dynamic loft to increase ball speed and distance. Another feature of the Ping i500 irons is the innovative Hydro Pearl Chrome 2.0 finish. This special feature helps ensure impact consistency and distance control from the rough and wet conditions, whilst also adding to the stylish aesthetic appearance of the club. The Ping i500 irons provide aspiring amateur golfers the perfect combination of an iron that has muscle back qualities for forgiveness and consistency, with all the blade-like feel of a professional tour iron. Find out more on Golfshake by clicking here, or visit the PING website by clicking here. 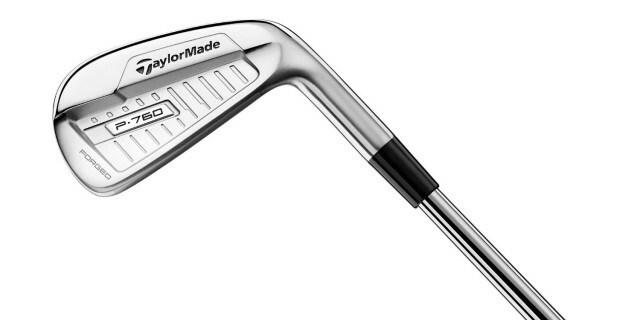 The TaylorMade P760 forged irons are the latest development from the very popular P700 iron series. This progression has led TaylorMade to manufacture a set of forged irons that have been specifically designed with tour-calibre quality in mind. The slight changes in design characteristics, materials and specifications aim to provide high quality golfers a set of irons that will enhance both distance and precision during their rounds. 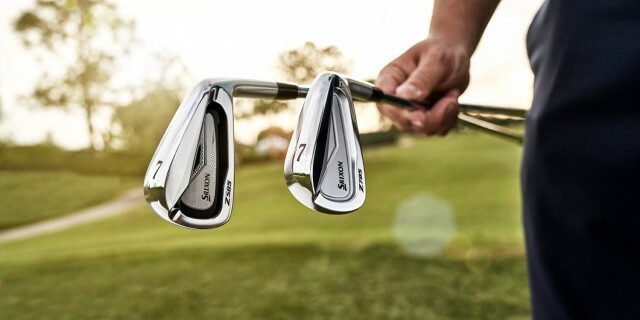 One notable feature that has improved in the P760 iron series is the forged multi-material construction. Not only has this design changed the aesthetic appearance of the club, the entire construction of the club has been altered to improve performance. The hollow cavity construction (3-7 irons) produces consistent distance while adding forgiveness to maintain optimized gapping throughout the set. Alongside this is the one-piece forged construction in the 8 through AW, resulting in remarkable feel and shot shaping capability for better ball strikers. Another notable development from the P700 series is the focus in shot-shaping ability that TaylorMade designers have placed on the engineering for the P760 forged irons. Head-size, offset and lofts have been meticulously detailed to engineer specifically what better players demand for precision shot making. While the foundational aspects of the previous P700 series are all still part of this unique design, the developments and progression in the engineering and manufacturing of the P760 forged irons has created a golf club that will perform exceptionally well for better players, while providing aspiring amateur golfers and mid-range handicappers with the confidence of unwavering forgiveness and control. Find out more on Golfshake by clicking here, or visit TaylorMade's website by clicking here. Combining the distance and forgiveness of the AP1 with the tour forged aesthetics and feel of the AP2, the 718 AP3 irons brings together a cleverly designed iron that utilizes the best features of both its predecessors. One dynamic feature of the Titleist 718 AP3 irons is the hollow-blade construction combined with L-Face inserts. This unique technology from Titleist enables the golf club to launch the ball higher with more consistent spin, providing outstanding shot-stopping power on the greens. Another feature of the Titleist 718 AP3 irons is the unbelievable level of forgiveness the golf club allows for. With the help of the impressive face technology of the AP3, the club offers all the forgiveness of a game improvement iron packed into a club that delivers the feel of a player’s iron. From March 1st, 2019 Titleist will be unveiling the blacked out edition of the AP2 and AP3 forged irons. Finished with a sleek, High Polish Black PVD coating to create a look that stands apart, the unique all-black colour offers an alternative design to the classic and traditional modern irons. Find out more on Golfshake by clicking here, or visit the Titleist website by clicking here. Equipped with the unique and innovative Cobra Connect technology, the Cobra King Forged TEC (technology enhanced cavity) irons are the embodiment of Cobra’s desire to create a golf club that provides the aesthetic appeal of a tour iron, with all the latest game improvement features of a forgiving and simple to use golf club. The first notable feature of the Cobra Forged TEC irons is the stunning and unconventional blacked-out finish off the golf club. DBM (Diamondized Black Metal) technology is a revolutionary surface finish that provides extreme wear resistance, reduced glare and a professional look preferred by better players. The DBM process chemically implants the black finish into the club head, increasing durability for longer lasting, better looking irons. 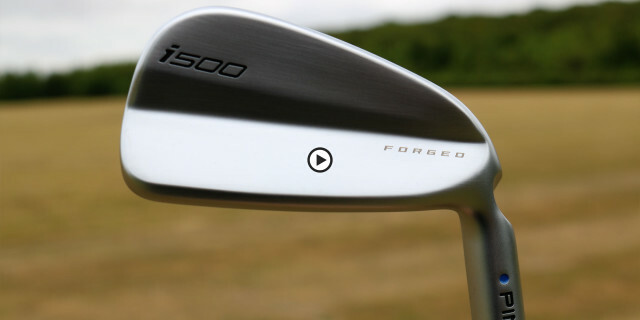 Another feature of the irons is the powerful yet forgiving club face. The Chromoly Steel material that has been used has a natural higher strength-to-weight ratio, allowing the face to be forged thinner to deliver increased ball speeds for longer and higher golf shots. The fantastic engineering combination of the carbon feel technology and tungsten weighting allows the golf club to feel incredible lightweight and responsive, while still maintaining a powerful position at impact for precision and forgiveness. This stylish iron is the perfect club for golfers who demand the benefits of a forgiving and consistent iron, which still manages to maintain the appearance of a professional looking golf club. Find out more on Golfshake by clicking here, or visit the Cobra website by clicking here. Renowned for making traditional and efficient golf clubs, Wilson has stylishly rejuvenated their design ideas and engineering techniques to create the C300 Forged irons. One unique feature of these new Wilson irons is the outstanding C300 forged face. The C300 is designed for mid-range handicap golfers due to the slightly larger profile which also includes a thinner top line to make the club head more appealing at address. Another innovative and special feature of the Wilson C300 forged irons is the dynamic FLX face technology. This ground-breaking technology minimizes contact points between the thin face and club head for maximum face flex upon impact, providing increases in ball speed and higher shot trajectories for additional stopping power on the greens. The tour-like shape and feel of the Wilson C300 forged irons, combined with expert features that offer consistent forgiveness and control have helped to create an iron that is ideal for aspiring golfers who demand a little extra help. Find out more on the Wilson website by clicking here. PXG 0311 XF GEN2 irons are dedicated to offering extreme forgiveness with a superior feel, while maintaining the sleek look of a blade. Exceptionally easy to hit, the PXG 0311 XF GEN2 irons are best suited for golfers looking for extreme forgiveness with good workability. One outstanding feature of the PXG 0311 XF Gen2 irons is the unique and innovative COR2 technology. COR2 is a low density, high speed and vibration dampening material with explosive C.O.R (coefficient of restitution) properties. The material has been injected into the forged, hollow body of 0311 XF Gen2 irons to provide golfers with an extremely efficient energy transfer at impact for a consistent response, accuracy and feel. Another innovative feature of the PXG 0311 XF Gen2 irons is the incredibly thin and forgiving blade-like design. The perimeter cut-out design of the irons face makes for a significantly larger functional area that yields a larger trampoline area for the COR2 to react, providing an iron that dramatically increases ball speeds and hugely improves any mishits. With their advanced engineering techniques and modern innovation, the PXG 0311 XF Gen2 irons perfectly highlight PXG’s futuristic mission aimed at improving golfers of all abilities through expert forgiveness and control. For more on the PXG website by clicking here. 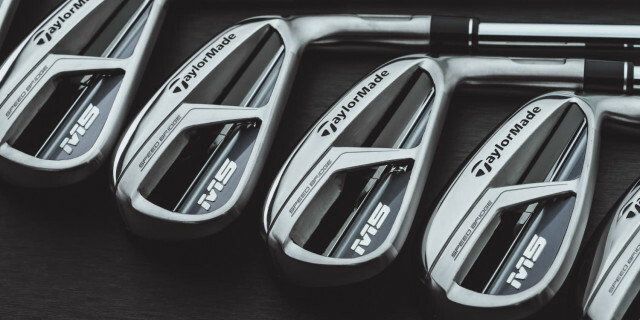 Part of the exciting M5/M6 TaylorMade range, the M5 irons are TaylorMade’s attempt at making a forgiving and powerful set of irons aimed at improving the game of mid-high handicappers. TaylorMade has created the M5 irons to provide explosive distance and precise control, one feature that embodies this is the innovative SpeedBridge technology incorporated into the face of the iron. The unique bridging structure in the cavity unlocks more speed than ever before, designed to help improve the ball speed generated off the face and smoother vibrations at impact for a better ball striking sound. Another feature of these irons is the unbelievable Speed Pocket technology that has been incorporated into the face of the iron. The inclusion of the Speed Pocket on the sole allows more flexibility lower down on the club head which helps generating increased speed and distance. This flexibility is what gives the club its unbelievable forgiveness allowing you to get a more consistent performance for every shot. The TaylorMade M5 irons are the perfect club for golfers who want to reap the benefits of an exceptional forgiving and consistent iron, that has still been designed to look and feel like a tour-standard golf club. Find out more on Golfshake by clicking here, or visit the TaylorMade website by clicking here. Srixon are renowned for designing professional golf clubs with simple yet stunning designs, however, the efficient and creative engineering techniques that have gone into the manufacturing of the Z585 irons highlight Srixon’s ability to also create golf clubs aimed at helping golfers of all abilities improve their game. One unique feature of the Srixon Z585 irons is the Tour V.T Sole design. This design incorporates a wider sole on longer irons for better forgiveness and consistency, along with improving the overall turf interaction for improved ball striking and smooth contact. Another innovative feature of the Z585 irons is the fantastic Speed Groove technology. Designed to help generate higher ball speeds without losing a smooth feel at impact, the internal channel on the SUP10 face insert allows for more face-flex, enhancing speed and distance. With distance, control, feel and forgiveness technologies packaged with a player’s look and feel, The Srixon Z585 irons offer game-improvement features in a compact, workable shape that’s ideal for mid-high range handicappers. Find out more on the Srixon website by clicking here.